One of the city’s most versatile DJs, Zebo rings in five years of the Booty Up at Evil Olive. 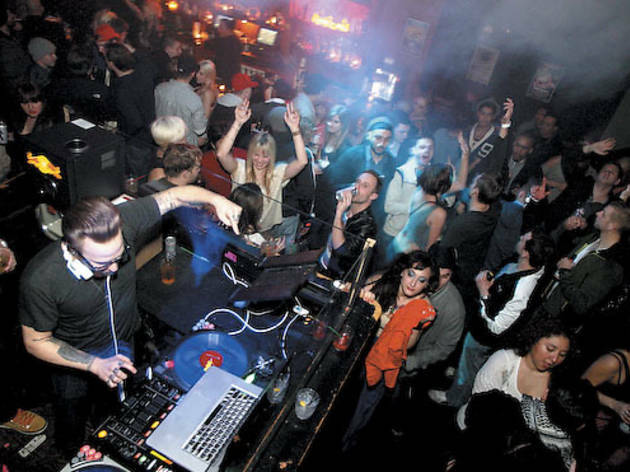 The concept of being a DJ’s DJ is about as tired a cliché as someone pantomiming record scratching when referencing the art form. Yet, the turn of phrase is apt for Zebo, a ubiquitous Chicago DJ whose kaleidoscopic selecting and impeccable blends mean he’s equally comfortable opening up for indie-disco duo Holy Ghost or dubstep pioneers Skream & Benga. What DJ can’t admire that level of versatility? Voted best local DJ by the Chicago Reader the past two years—and hoping for a hat trick in 2012—Johnathon “Zebo” Gust’s skill and music expertise have scored him a position at Columbia College, where he teaches Club DJ classes to a new generation of dance-music lovers. They’ve also landed him at Wicker Park late-night mecca Evil Olive, where his Friday-night residency the Booty Up marks five years of steamy dance mayhem on Friday 9. Debuting in 2007 with then partner Travas Machel, a.k.a. Pr3-Frosh, the Booty Up has been Gust’s main party outlet in the city. “People just started to notice that we’re doing something different,” the 31-year-old says over lunch at Small Bar in Wicker Park. “Being that it’s a four o’clock spot, the only options were Nick’s, where you could hang out with the jukebox, or go to Ohm and pay a ridiculous cover and maybe not get in.” Gust’s night offered a more eclectic late-night party. That reputation remains. Looking like the new millennium twist on a ’50s greaser with a dirty-blond pompadour, handlebar mustache and a jigsaw puzzle of tattoos—including “true love” inked across his fingers—a humble Gust points to the Booty Up as the origin of Evil Olive’s hold on Wicker Park nightlife. “We really don’t cater to a Top 40 vibe. 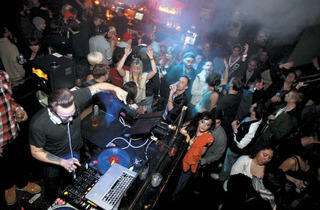 It would range from classic hip-hop to new dance, electro and banger house. That was really what got Evil Olive going as a whole,” he says. It’s a difficult thing for a DJ to have his fingers in that many pies without confusing club owners and promoters, but Zebo’s rise has been a steady one. Since migrating from underground loft parties in ’04, where he focused on the rave side of drum ’n’ bass and house, Zebo’s taken part in reggae nights, fashion-forward disco revues and opening sets for marquee names in hip-hop, dubstep and house. Zebo rings in five years of the Booty Up at Evil Olive on Friday 9.